There are a Lot of Opportunities for Students at Ruth Betts School. Ruth Betts Community School Principal Amber Zerbin and Vice-Principal Mike McLellan presented the Flin Flon School Board with the highlights of the current programming at the school this past Tuesday evening. Engaged learners participate in the breakfast program, electives participate in outdoor education, world issues and recently assisted in the hanging of red dresses for the Women’s Memorial March. Other programming including life skills, self regulation room, the tech lab and other awesome learning opportunities were part of the presentation. They reported with various grant money, donations from service clubs and dedicated volunteers these programs definitely enrich the learning experience at Ruth Betts. The Principals were asked to present to the Rotary not long ago who were so impressed they suggested they should present to the Board of Trustees who had nothing but high praise for a job well done. Your Input is Wanted as the City Plans for the Future. The City of Flin Flon is developing a 2019 to 2022 Strategic Plan and would like to know what you would like to see happen over the next four years. They are holding a come and go public forum tomorrow afternoon which will entail a variety of information gathering booths that will provide you with lots of opportunity to share your thoughts concerning the city and the next four years. Some areas that will be focused on include what do you love about your community and what do you want to see changed. The public forum is a come and go event running from 2 to 6 tomorrow afternoon at Flin Flon City Hall with refreshments and coffee provided. Log in and Help Creighton Win Ten Thousand Dollars. The Town of Creighton has registered for the 2019 Saskatchewan Blue Cross Go Out and Play Challenge. Creighton Recreation Director Channa Senyk says they are counting on residents, friends and family members to get moving to win this year’s challenge from tomorrow to March 10th. She is asking people to go to the website www.challenge.saskatchewaninmotion.ca and create a personal or family profile, be physically active remembering walking, active play and chores like shoveling snow can be included then log your minutes of physical activity every day. The community that moves the most during the ten day challenge wins the grand prize and Senyk says they will put the ten thousand dollars to good use with Creighton ball diamond improvements. The website to register, log your minutes and for more information again is www.challenge.saskatchewaninmotion.ca. Health Services Should Be Available Locally. 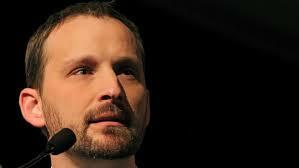 Saskatchewan NDP leader Ryan Meili met with the We Want Birth Committee while in Flin Flon last week. 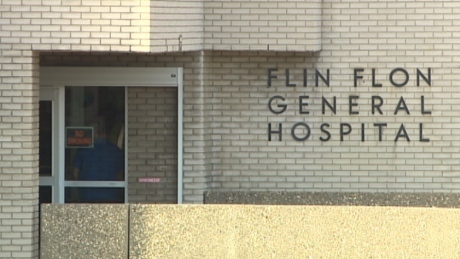 He commented on the need to resume obstetric services at Flin Flon General Hospital. He says you realize that it’s really important to have those obstetrical services close to where people live, close to where they want to deliver, close to where they’ve got their support. He notes one of the big challenges is you go out to The Pas or you go down to PA to deliver who’s taking care of your other kids, that’s the kind of reality that people are facing and so that’s why he thinks Saskatchewan needs to step up, work alongside the Manitoba government and come up with a plan on how do we make sure that we’ve got doctors with the ability to do obstetrics right here in Flin Flon to serve both the Manitoba and Saskatchewan side. Meili added it’s a service that crosses the provinces so the responsibility should also cross provincial lines. Everyone is Invited to Join the World in Prayer. St. Ann’s Roman Catholic Church along with co-host the Salvation Army invites you to the annual World Day of Prayer Friday evening. One of the organizers Dona O’Brien says this year the Women’s Inter-Church Council of Canada theme is Come Everything is Ready. She explains the Council’s mission is to empower Christians to pursue justice, peace and reconciliation by standing together in prayer and action. Their goals are to connect people with a passion for justice, to bring Christians together in prayer with action and to restore hope to women touched by injustice. O’Brien adds these goals are achieved by inviting women from around the world to share their experiences and concerns. 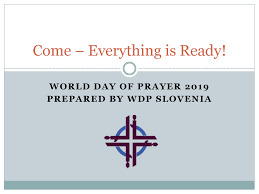 World Day of Prayer will be celebrated Friday evening at 7 at St. Ann’s Church on Centre Street to pray in solidarity with the host country Slovenia one of the smallest countries in Europe. Changes are Coming to Chamber Meetings. The Flin Flon and District Chamber of Commerce is reducing the number of general meetings they hold. They will hold one general meeting per month instead of two and it will be on the third Tuesday of each month with the exception of March when the meeting will be on the second Tuesday. The idea is to promote a higher attendance at their general meetings. Local wrestler Carson Lee thanked the Chamber for their support. The Chamber sponsored Hunter and Carson Lee’s quilt raffle. Carson is off to Junior Nationals for under 20 in March in Saskatoon. President Karen MacKinnon thanked them for promoting our community at competitions they attend around the world where they display the city of Flin Flon flag. 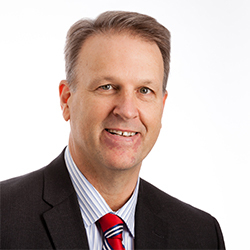 Tim Smith suggested the Chamber look at how we can encourage people from the Saskatchewan side to continue to come to our community now that the obstetrics program has been suspended at the local hospital. He noted the effect this is having on the local business community. The Chamber has invited the Chief and Council from Pelican Narrows to meet with them to discuss what the Chamber can do to work with them. 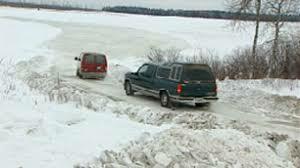 It was also suggested the Peter Ballantyne Cree Nation be encouraged to add their voice to those who want to see the return of obstetric services. A New Discovery of High Grade Ore Has Been Made Near Snow Lake. Hudbay has announced the discovery of 35.6 meters of high grade mineralization including both zinc rich massive sulphides and gold. The deposit is located between the old Chisel North Mine and the producing Lalor Mine at a down hole depth of between 540 and 576 meters and includes 4.6 meters of 20.76 percent zinc and 6.2 meters of 6.34 grams per tonne gold. Hudbay President Alan Hair says these zinc rich and gold rich intersections highlight the ever prospective nature of the Flin Flon greenstone belt and demonstrate the value of their Manitoba assets. Two drills will continue to operate in the immediate vicinity of this initial discovery in order to confirm the continuity of the mineralization and depending in its success they expect to develop an exploration drift off the ramp from Chisel North to the Lalor mine in order to drill this new discovery from an underground platform. The We Want Birth Committee sponsored a community forum last night to discuss the suspension of the obstetrics program at Flin Flon General Hospital. The Committee explained they are six mothers who are advocating on behalf of those who would like to give birth in Flin Flon. Northern Health Region CEO Helga Bryant and Regional Administrative Officer Scott Hamel reviewed their attempts at hiring an obstetrician and the clinical study that resulted in the suspension for the safety of patients and staff and the pre-natal program they offer locally now working with between 40 and 50 women on their lead up to child birth. Bryant noted they are awaiting the results of the first ever provincial clinical and preventative services plan that has called on health experts to determine which services should be provided where and by whom and which can be moved out of Winnipeg to other centers with a human resources plan attached. The plan should be before government in May or June and Bryant said they will have to move quickly on it as many services such as our obstetrics program are on hold waiting for the plan. One suggestion made was midwives with Bryant pointing out they like obstetricians don’t want to leave a major center such as Winnipeg and the amenities it offers and they would need access to an obstetrician and anesthetist if an emergency arises. It was noted we as a community need to help find ways to attract doctors and their families. 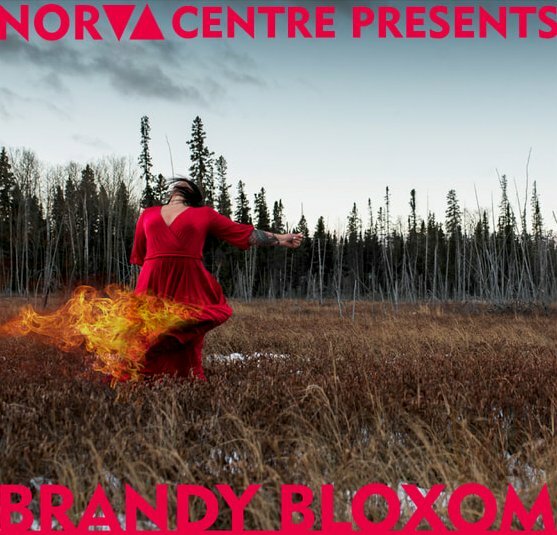 Monologues From Across Canada Will be Part of International Womens Week in Flin Flon. 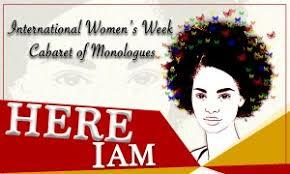 The Womens Resource Center is featuring Cabaret Monologues on Sunday as part of International Women’s Week. The group’s Artistic Director Hope McIntyre says the production is themed Here I Am exploring identity in several ways. She explains for International Women’s Week for about 15 years now they have been putting together stories through monologues and also some spoken word or song or movement to really try to explain the full breadth of women’s stories and experiences and they’re super excited for the first time to bring some of this work out to Flin Flon. McIntyre adds it will also include comedy and puppetry. Cabaret Monologues will be presented Sunday evening at 7 at Johnny’s Social Club on Green Street. Admission is free with refreshments and dainties provided. You Can Learn More About Banned Books. The Flin Flon Public Library is celebrating Freedom to Read Week this week. Their Administrator Courtney Campbell says they’ve got a great display that features a lot of the books that have been banned or challenged across Canada at different times just explaining why some of the books have been challenged just to promote the event. She explains it’s an annual event that kind of encourages people to think about their commitment to intellectual freedom which is an important thing to check in on once in a while. Freedom to Read Week runs all this week through Saturday. An Exploration Company has Completed Financing and Expansion Plans. Rockcliff Metals Corporation has announced a reorganization transaction. It involves a financing led by Greenstone Resources and a transfer of significant assets from Norvista Capital Corporation. They state this transformative event will reorganize Rockcliff into a well capitalized resource company with a strong shareholder base enabling them to undertake a major mineral exploration and mine development program over the next several years in the Flin Flon Snow Lake metals mining camp. Upon completion the strategy will include the Talbot Option Agreement, the Tower and Rail Properties, six additional historical underexplored base metal deposits and a seven year processing lease of the Bucko mill and tailing storage facilities at the Bucko Mine near Wabowden. Exploration Continues in the Flin Flon Snow Lake Areas. The Hudbay 4th quarter report we reported on on Friday includes Manitoba ore production. President Alan Hair says it was in line with their mine plan explaining in Manitoba they overcame operating challenges they had in the first half of the year and through ongoing operational maintenance improvements the Stall mill achieved record throughput in 2018. Also the Lalor mine is on track to achieve 45 hundred tonnes a day after the commissioning of the paste backfill plant and improved availability of skilled labor in the second half of 2018. He added total ore milled in Manitoba was lower compared to the third quarter due to the planned closure of the Reed Mine. Hudbay also reports last year they spent 14 million dollars on major airborne and ground geophysical surveys as well as on surface exploration drilling in the Flin Flon and Snow Lake areas which was instrumental in identifying several base metal and gold targets that are to be tested this year. The company also plans to spend approximately 4 million dollars on in mine exploration at Lalor near Snow Lake. It Was A Busy and Fun Weekend at Denare Beach. The 40th annual Denare Beach Winter Festival was held over the weekend. Recreation Director Mel Durette says it was the largest crowd she has seen attending the Festival. Some of the event winners include for the Elimination Draw 500 dollars to Jason Feuerstein, 300 to Collin Woods and 200 to Jason Donaghy. There were 70 entries in the fishing derby with no fish caught this year. Draw winners for the prizes were Isla Magee, Nicki Maderash, Mathew Sewap, Crystal Banting, Rick Banting and John Magee. First in Kids Got Talent was singer Julianne Thomas, second to Ukulele player Julia Norman and third to singer Julee Leblene. Turkey curling was won by Team Jen and Jay with Jen Feuerstein, Jason Feuerstein, Chad Lycan and Mike Durette. Boot Hockey had five teams with the winner the Crosby Killers and Junior Trapper was Owen Durette. The King and Queen Trapper events didn’t have enough entries. The Flin Flon Business Community Gave Their Input to a Strategic Plan Friday. Event facilitator Eve O’Leary, Regional Economic Development Officer for Flin Flon, Creighton Denare Beach said the idea is to develop a strategic plan for the next four years for Flin Flon with upcoming changes in the local economy. So far17 sessions have been held with various stakeholders to develop the plan with information on upcoming sessions available on the City of Flin Flon website and Facebook page where you can also provide you input on the strategic plan survey. Those attending the business session reviewed what they like about the community, what they would like to see improved or changed and how to budget for the city which showed we are a great community but there are improvements needed to make things better and to attract more people here. A draft plan will be presented for the public in April and the final document will be adopted by Council later that month. Creighton and Denare Beach are working on a similar process and will work together with Flin Flon moving forward over the next four years. 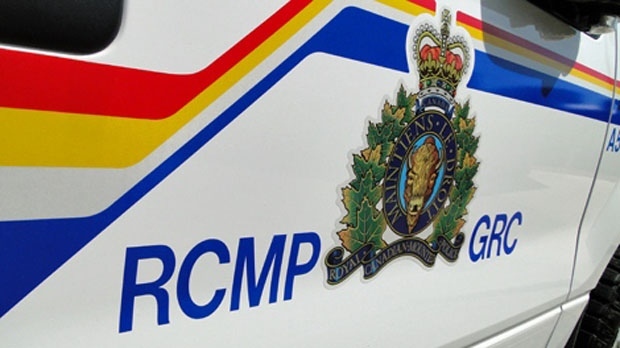 At 11:50 last night Flin Flon RCMP responded to a report of a single-vehicle collision on Third Avenue. The investigation has determined that a vehicle was travelling eastbound when it went out of control and collided with a hydro pole and rolled. A 21-year-old female, from Flin Flon, who was the driver and lone occupant, was ejected and later pronounced deceased at the hospital. Officers believe the driver was not wearing her seatbelt and that speed may have been a factor in the collision. Flin Flon RCMP continue to investigate. Hudbay Showed a Loss for the Last Quarter. Hudbay has released its 4th quarter results. They report a net loss of 3.5 million dollars in the last quarter of 2018 compared to a net profit of 94.3 million dollars in the same quarter of 2017 due mainly to lower realized prices and sales volumes for copper and zinc. President Alan Hair reports in the 4th quarter they continued their trend of generating strong operating cash flow as they remained focused on their strategic priorities of developing and operating their portfolio of quality assets in mining friendly jurisdictions. He says they are proud of their operating performance in both Peru and Manitoba resulting in consolidated basis copper production exceeding guidance two years in a row further generating cash flow beyond expectations. Hair adds over the last several years Hudbay has grown beyond its Manitoba base through acquisition, exploration and development into a leading mid-tier copper producer with low cost long life assets in Canada, Peru, Arizona and recently Nevada with the acquisition of the Ann Mason Project. You Can Hear from a Canadian Author Monday Night. The Creighton Community School Let’s Read Committee invites you to an evening with David Bouchard Monday. They report through stories and native flute Bouchard teaches and inspires students, parents and educators adding over the past 15 years he has captivated and enlightened over a million people the world over from India to China, from the UK to Texas and from Newfoundland to the Northwest Territories. 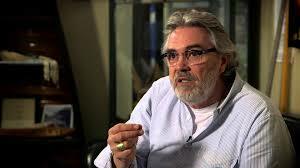 The public evening with David Bouchard takes place in the Creighton School gym from 7 to 8:30 Monday night. It is a free community event with all ages welcome and coffee, tea, juice and snacks will be provided. 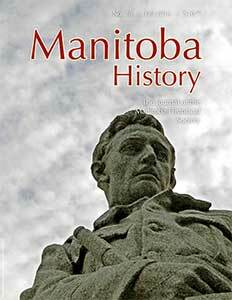 Bouchard will also be speaking to students at McIsaac School Monday at 9:30 and at Ruth Betts at 11. There are Two Strategic Plans That Can Use Your Input. At the Flin Flon City Council meeting Tuesday night Councilor Colleen McKee reported she attended a recent meeting of the Main Street Revitalization Committee. She says they are in the process of developing a strategy and have some exciting ideas for Main Street but they need volunteers to assist in their plans. With another plan Council urges everyone to complete their Strategic Planning Survey. It is a short survey that can be found on the City of Flin Flon website and Facebook page as well as the Flin Flon and District Chamber of Commerce website. They also invite you to the come and go strategic planning public forums that are being held at City Hall March 1st from 2 to 6 and March 11th from 3 to 7. Everyone interested is encouraged to attend and provide your input. Mayor Cal Huntley, Councilor Ken Pawlachuk and Administrator Glenna Daschuk attended the recent Saskatchewan Urban Municipality Association convention in Saskatoon. They had the opportunity to meet with the provinces two Health Ministers to discuss the need to restore obstetrics services at Flin Flon General Hospital that benefit people in northeast Saskatchewan. They also met with several other community representatives and heard a presentation from Premier Scott Moe on the province’s opposition to the imposed carbon tax. An Updated Mine Plan Has Been Released for Lalor Near Snow Lake. Hudbay has announced increased mineral reserves and resources for its Lalor Mine and nearby satellite deposits and a new mine plan that includes the processing of gold and copper-gold ore at their New Britannia Mill which is expected to be in production in 2022. Hudbay President Alan Hair says at Lalor there will be an increase in gold production. He reports Lalor’s annual gold production is expected to more than double from current levels once the New Britannia mill is refurbished with annual production of approximately 140 thousand ounces during the first five years at a sustaining cash cost net of byproduct credits of 450 dollars per ounce and that will make Lalor one of the lowest cost gold mines in Canada. Hair adds the updated resource model at Lalor includes 5.9 million tonnes of inferred mineral resources which has the potential to extend the mine life beyond ten years while feeding both Stall and New Britannia mills and their extensive land package in the Chisel Basin and around Snow Lake provides significant additional upside for further gold and base metals exploration. It Was Budget Night for the School Division. 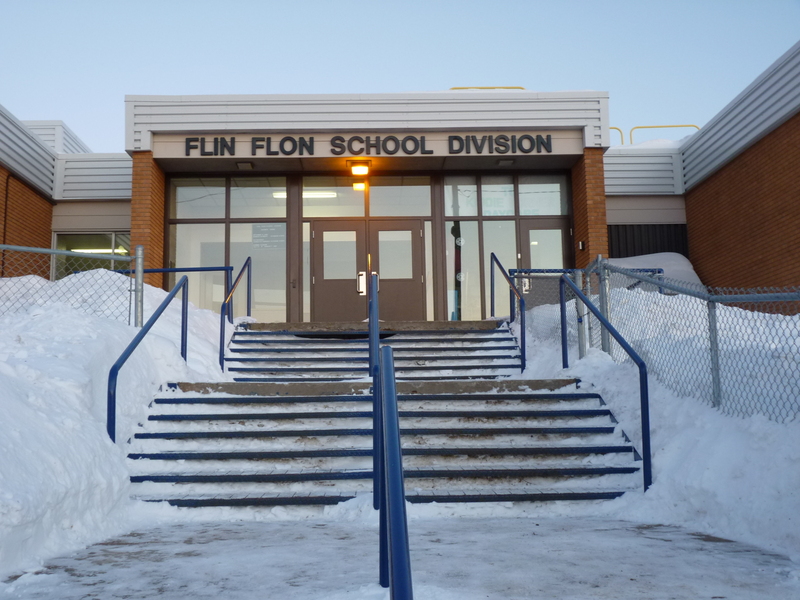 The Flin Flon School Board presented their budget plans for the 2019-20 school year at a public meeting last night. The Division has planned a budget of just under 14.92 million dollars for the year an increase of .15 percent from this year’s budget. Provincial funding for the Division for 2018 was just over 9.2 million and 2019-20 is up 1.6 percent or just over 145 thousand dollars. The School Division will be keeping the mill rate the same as last year at 21.46 which results in a just over 120 thousand dollar decrease to the 2019 municipal revenue request. Total school enrollment as of last September 30th was 980 up 30 from the previous September. One of their larger proposed expenses is to hire three new Educational Assistants at a cost of 105 thousand dollars, they will be maintaining all of their programs and they have met the provincial mandate of 4.5 percent on administration expenses. The proposed budget requires approval from the Board at their next meeting. The budget presentation and survey results will be posted on the School Division website later today. You Can Learn About Life Being a Puzzle. 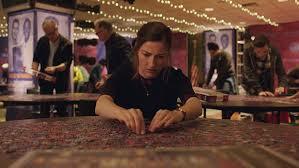 The Central Canada Film Group is presenting the Toronto International Film Festival film Puzzle tonight. The group’s Tom Heine says it’s a story about how one event can change a life. He explains it’s a house wife who has completely committed herself to her family and basically that is her life until she starts playing a puzzle and it opens up a lot of other aspects of her personality. He adds it’s a real feel good movie and basically it’s kind of a metaphor for our own lives which are essentially jigsaw puzzles that we try to get together in the right way. Puzzle will be shown tonight at 7:30 in the Hapnot Collegiate Theatre. Because this is a Toronto International Film Festival film admission will be ten dollars. A Local Committee Continues to Work Towards the Return of Obstetrics in Flin Flon. At their meeting last night City Council heard from Jan Unruh and Kirsten Fristch Co-Chairs of the We Want Birth Committee whose mission is to advocate for the whole community and surrounding areas to reinstate quality obstetric services at the Flin Flon General Hospital. To date they have held a public forum, met with Health Region CEO Helga Bryant to discuss challenges posed, held a protest at the hospital resulting in a 136 signature petition, meeting or being in contact with MPs, MLAs and Health Ministers for Manitoba and Saskatchewan, local Mayors and Councils and have planned a second public forum to be attended by CEO Helga Bryant next Tuesday at the Eagle Rose Holistic Healing and Teaching Lodge at 104 Tweedmuir to which they invited Mayor and Council. They reviewed the cost and difficulties for families to have babies delivered out of town as well as noting the effect on the community of not having families from outlying communities normally served by our hospital asking Council what they have done. Councilor Pawlachuk said they have met with Helga Bryant as well as Health Ministers from Manitoba and Saskatchewan to discuss the issue. Councilor MacKinnon said there has to be more funding for health to ensure needed services are there while Councilor McKee added we all deserve a base line of care no matter where we live. You Can Learn to Recharge Your Life. 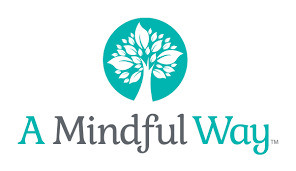 The Women’s Resource Centre is holding a free workshop for women called the Mindful Way. The Centre’s Marci Lyon says it’s an eight week workshop based on mindfulness techniques to recharge and rebuild the life you want. She explains it helps to build the courage to heal, confidence and it focuses on how wherever and whatever we are doing we can learn to disengage from unhelpful and unintended mental thoughts. She adds the key is in learning how to settle the mind and they’re exploring personal reactions and feelings to unpleasant or painful experiences. She notes this group is a safe, non-judgmental and supportive space to take time to recharge, rebuild and help you live the life you want. The workshop will run Tuesday afternoons from 1:30 to 3:30 February 26th to April 16th. To register call Marci at the Women’s Resource Centre at 204-681-3105. Its Festival Time in Denare Beach This Weekend. The 40th annual Denare Beach Winter Festival is coming up this weekend. Recreation Director Mel Durette says they have a busy weekend planned. She says Friday they will have the Mushers Supper, fireworks will be at 7 o’clock at Angell’s Marina and then all of the kid’s events will start, turkey curling, pizza shoot, Kids Got Talent. She adds Saturday they’ve got the family fishing derby, bingo, boot hockey, the horse drawn wagons and then Sunday they’ve got the snow drags and King and Queen Trapper at the Beaver Lake Day grounds out at Denare. For more information on events you can contact the Denare Beach Recreation Office at 306-362-2050. An Exploration Company Has Completed its Purchase of Property Near Snow Lake. Rockcliff Metals Corporation has completed the signing of the formal purchase agreement with RNC metals to acquire fourteen properties located near Snow Lake. As stated in the letter of intent reported in January the acquisition from RNC’s subsidiary VMS Ventures called for the issuance of just over 2.2 million common shares of Rockcliff to RNC. At the time of the letter of intent Rockcliff President Ken Lapierre said the company could not pass on the opportunity to purchase one hundred percent interest in quality properties immediately adjacent to their existing property portfolio including an historical VMS deposit. Rockcliff states they have the largest junior property portfolio in the Flin Flon Snow Lake greenstone belt totaling over four thousand square kilometers. Alpha Invites You to Join Them Next Week. The Alpha Course is starting a new session at the Flin Flon Alliance Church next Tuesday evening. Pastor Reg Friesen says Alpha has a lot to offer. He explains if you’ve ever wondered if there’s more than day to day the Alpha Course is a great way to discover there’s so much life to be experienced. He says he knows personally many people who have taken the time to explore life and faith in this way and it’s been an incredible season of renewal in their lives so you can join them on Tuesday February 26th at 6 pm for what they call their Celebration Dinner which is a fun relaxing evening with some music, a video, it’s an introduction to what the Alpha Course is all about so they just want to invite folks from the community to bring a friend or come by yourself noting the Alpha Team is so welcoming and they’d love to see you join them. To register or for more information you can call the Alliance Church at 204-687-8498. An Information Session on Handling Change That Comes With Dementia is Coming Soon. The Primary Health Care Centre is hosting a telehealth session next Tuesday presented by the Alzheimer Society of Manitoba. Their Program Director Norma Kirkby says this session will be Understanding Changing Behavior with Dementia. She explains Joyce Klassen their Dementia Educator will be talking about why behavior may change for a person with dementia so what we need to do is think about what may be the cause of someone’s distress that might cause them to act differently then Joyce will also be talking about strategies families can use to calm a person. The session will be held at the Primary Health Care Centre from 6:30 to 8 next Tuesday. 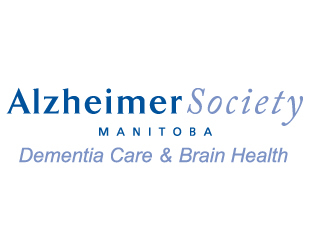 To register online go to www.alzheimer.mb.ca, email alzmb@alzheimer.mb.ca or call 1-800-378-6699. The Best Way to Provide Health Services is Locally. That’s according to Manitoba Liberal Leader Dougald Lamont. While in Flin Flon this week he said their focus is on local jobs, local provision of services, local education and local health care as we need to engage with people in their communities where they live and not just be centralizing and dictating everything from Winnipeg. He said ultimately he doesn’t think it’s efficient or effective because people need to have health care right in the community and some of it is better recruitment, some of it is more doctors noting there’s surprisingly few primary care doctors in Canada and Manitoba so we need to make sure there are doctors going through school and also that we’re compensating them properly. Lamont added we have to do a better job of working with communities to attract and retain doctors. He also noted they have an election readiness team working towards next year’s election and expect to be in the best shape they have been in quite a long time. They Marched and Gathered to Remember and Call For Action. The Women’s Resource Center held their annual Women’s Memorial March and Red Dress Project last evening. Special guest at the event was Metis artist Jaime Black from Winnipeg who originated the Red Dress Project. She explained she really wanted to use her art work to support families and women so she thought of the Red Dress Project as a way of having the public really kind of confronted with women facing higher rates of violence and so the empty red dresses are put in public spaces so that people are asking questions and wondering what those dresses are there for and they often serve as a way to educate the public around the state of violence that Indigenous women are facing. Black says she was overwhelmed by how people got together to put on events in the schools and community showing support for missing and murdered Indigenous women and their families. Marchers made their way from Pioneer Square down Main Street which was lined with red dresses and back to the Community Hall for singing, drumming and messages of support for the event. A Shared Health program Will Begin in Manitoba in April. Staff working in a number of departments, programs, service areas and sites across Manitoba’s health system will begin a phased in transition to Shared Health in April. Shared Health Chief Executive Officer Dr. Brock Wright says by transitioning responsibility for certain services to one organization they will be able to improve the consistency and availability of certain services as well as identify cost savings that can be invested in areas of need. Across the health system around 12 thousand staff will see their employer or contracting organization of record change to Shared Health beginning in April. Deputy Health Minister Karen Herd adds standardized approaches to the delivery of health care will improve the system’s ability to deliver services to Manitobans regardless of where they live. Northern Health Region CEO Helga Bryant says the reshaping of the health system will be of great benefit to patients in the north and their families adding the planning underway to enhance primary care is of particular interest to providers and patients in this region as well as efforts to increase the use and support of inter-professional teams and enhance focus on prevention and recognition of the social determinants of health. There is a Need for More Investment in the North. 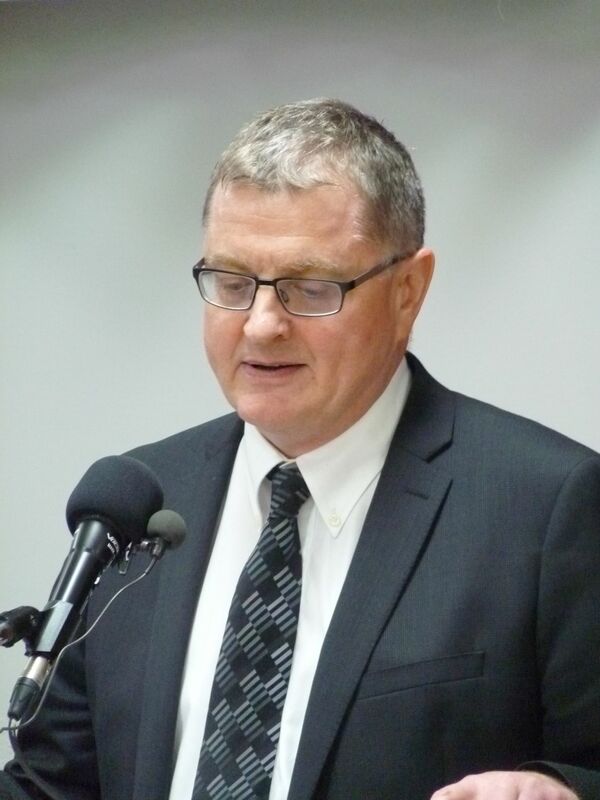 Manitoba Liberal leader Dougald Lamont while in Flin Flon Tuesday noted we need some economic assistance for northern communities that are losing jobs. He says we have people who are losing jobs and we need to step in and make sure if they can’t get the kind of jobs they want that there’ll the retraining they need but we also need to make sure that jobs are there so we need to invest in businesses and invest in projects that are going to put people to work and Manitoba Liberals are committed to investing into growth as that’s what we need to do to get out of this mess. Lamont added there’s still lots of potential in the north and it doesn’t just have to be in mining so there really needs to be a focus on developing the north and in helping these communities to thrive. One suggestion he has is the development of a Manitoba based Business Development Bank that will invest in Manitoba businesses to help them get off the ground and provide more full time jobs with benefits. Recommendations Have Come From a Mediation Circle. 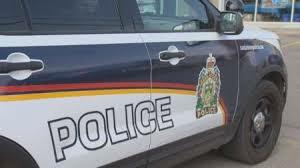 Two Flin Flon area women arrested over online comments that threatened violence against Indigenous people have been given seven conditions following a mediation circle on a First Nation. The two women were arrested on suspicion of uttering threats and public incitement of hatred after posts appeared on Facebook last summer after a vehicle was vandalized. 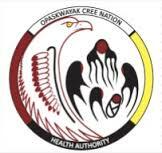 The women were never formally charged and instead took part in a mediation circle on the Opaskwayak Cree Nation. In a news release, the First Nation says if the women don't accept the conditions they will be referred back to the criminal justice system. You Can Learn Why a 1962 Movie is Still Relevant. 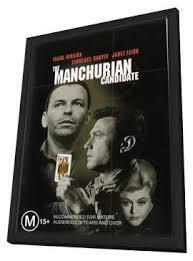 The Central Canada Film Group is presenting the Manchurian Candidate at the Hapnot Collegiate Theatre tomorrow night. The Groups Colin Davis says you will find out why this film suddenly got pulled from theatres and why it was hardly heard of again until 1988. He points out this is the original 1962 version with Frank Sinatra and Angela Lansbury that was years ahead of its time and is still as relevant today as it was back then. He explains in the story Staff Sergeant Raymond Shaw comes home from the battlefield a war hero unaware that he and his platoon were all brainwashed when they were captured by the enemy and now he is home and they are getting ready to use him. The Manchurian Candidate will be shown tomorrow night at 7:30 in the Hapnot Collegiate Theatre and as always the Friday films are free. You Could See a Large Drop in the Special Services Portion of Your Tax Bill. Flin Flon City Council held a public hearing last night to review their Special Services Proposal for another three years. It establishes a per parcel rate to defray the cost of police and fire service for this year through 2021 so all property owners share the cost of these services. The total cost of these services this year is estimated at just over 1.17 million dollars rising by up to three percent in 2020 and 21. The per parcel charge to be paid by taxpayers would be $395.27 this year also rising by up to three percent in 2020 and 21. The proposal now goes to the Municipal Board for their review before returning to Council for final approval. It's a Busy Time in Flin Flon School Division. The Flin Flon School Board met last night. Assistant Superintendent Tammy Ballantyne reported award winning Canadian author David Bouchard will be speaking to students at McIsaac School on February 25th at 9:30 and Ruth Betts at 11. Students at Hapnot Collegiate will take in a presentation from Winnipeg based Metis artist Jaime Black this afternoon. Parents, Family and the public are invited to the Community Hall this afternoon between 4:30 and 6 for viewing of the projects of the Division Wide Science Fair. Board Chair Leslie Fernandes invited the community to attend the Flin Flon School Division public budget meeting which will be held on February 20th at 9 Terrace Avenue at 6:30. 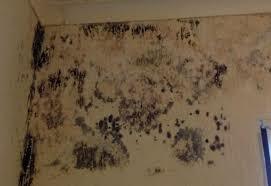 The Local School Board is Looking for Support. Flin Flon School Trustee Murray Skeavington spoke to the Flin Flon and District Chamber of Commerce yesterday asking for their support. He says the Board welcomes the review of public education in the province but not the possible amalgamation of the 37 School Boards across the province and appointed rather than locally elected School Boards. He said there could be amalgamation of northern Boards based in Thompson or a provincial board in Winnipeg. He explained School Boards ensure programs meet the needs of their students and their parents and that happens locally and other amalgamation programs have resulted in no cost savings. He asked Chamber members to consider the importance of your children’s education as every Trustee in this Division lives and works here and care about our community and are committed to providing Flin Flon with the best education they can. He asked the Chamber to write a letter of support for locally elected School Boards and work together to keep public education public. The Chamber referred the request to their upcoming executive meeting. 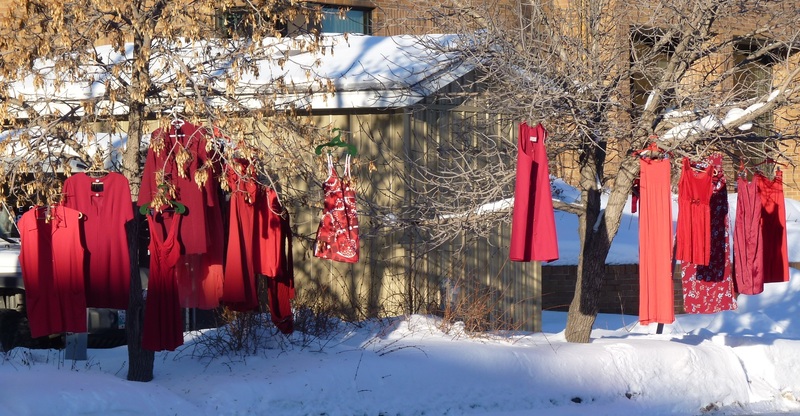 The Red Dress Project Will Be In Focus in Flin Flon for Three Days. Metis artist Jaime Black is in Flin Flon for events starting today. 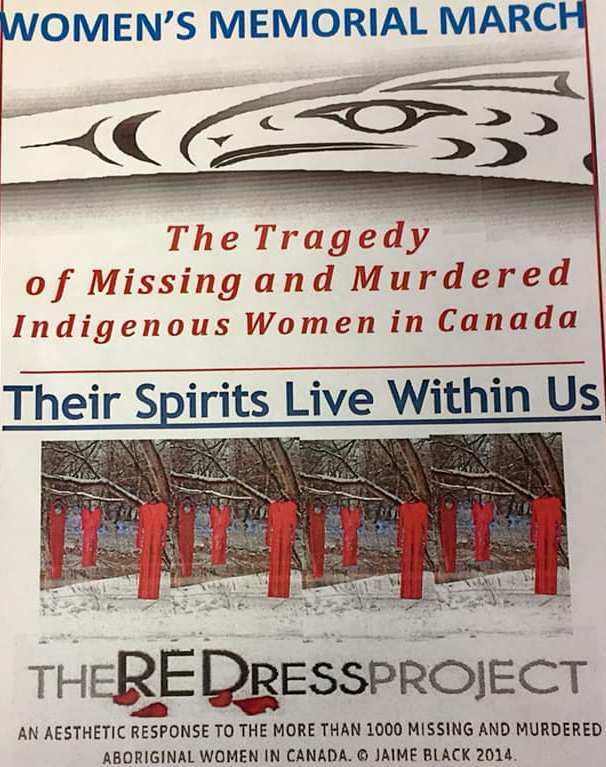 Black created the Red Dress Project in 2010 to draw attention to violence against Indigenous women and girls. Black will be at a Red Dress exhibit reception tonight at 6 at the Eagle Rose Holistic Healing and Teaching Lodge at 104 Tweedsmuir. Over 60 red dresses will be featured in this exhibit. As we reported earlier she will attend the Women’s Resource Center’s annual Women’s Memorial March at 5:15 tomorrow evening at Pioneer Square followed by a gathering at the Community Hall and on Friday she will attend a meet and greet at 7 at the Norva Centre at 177 Green Street where she will share her artistic journey. Local School Boards Play an Important Role. Manitoba Liberal leader Dougald Lamont was in Flin Flon yesterday. One of the issues we discussed was the provincial public education review and the possible dissolving of locally elected School Boards. Lamont says he is very concerned about it as having local input into education is really important but he also doesn’t see that there’s going to be a lot of savings. He says what they’ve seen before when the amalgamation of School Boards was tried is it didn’t really improve the quality of education and it didn’t improve costs either. He added the real focus on the challenges in our education system need to be about what can we do better to make sure our kids are reading, writing, doing their arithmetic and learning properly rather than focus on funding. Lamont says this is about the future generation of Manitoba and how they are going to grow up and the kind of skills they’re going to bring to the workforce and this is something we need to invest in. We’ll have more from Lamont on newscasts later this week. Exploration is Going Deeper Near Flin Flon. Callinex Mines has started a deep penetrating induced polarization survey on its Pine Bay project 16 kilometers east of Flin Flon. They report this survey using the Ore Vision IP system can reveal targets four times the depth of conventional IP systems. The objective of the survey is to detect pyrite rich mineralization that may host high grade copper and zinc up to depths of 580 meters along three favorable volcanic massive sulphide horizons that host the Pine Bay, Cabin and Baker Patton deposits. In late 2016 Callinex discovered a high grade zone by extending a previous drill hole by 38 meters and additional drilling has also intersected several intersections of pyrite rich mineralization that was unable to be detected by conventional electromagnetic methods. The Government Needs to Move on Sick benefits. Member of Parliament Niki Ashton spoke in the House of Commons last week regarding the federal government’s decision not to extend sick benefits for workers. The current number of weeks that people can take to recover from an illness or injury is 15 weeks and Ashton doesn’t believe that this is long enough. Ashton pointed out people in Northern Manitoba and across the country are in need of this kind of help but this government isn’t there to give it to them. She notes when rich Americans want pipelines built this government goes the extra mile but when regular Canadians who are being forced to return to work either sick or injured or quit their jobs because they are too sick to perform this government doesn’t even budge and inch, they’ll propose a study but they certainly won’t do anything to actually improve your life. Ashton concluded her statement by saying politics that privileges style over substance is typical of this government and it is seen in their attitude towards reconciliation and indigenous people, the environment, and the sick and injured. Our Young Students Science Work Will Be On Display. The Flin Flon School Division wide Science Fair is being held Wednesday at the Flin Flon Community Hall. Coordinator Kari LaBorde says it includes grades one to eight this year. She explains they have their judging happening on the 13th with Ruth Betts coming in the morning and McIsaac students coming in the afternoon for judging this year and then at 4:30 they’re going to open up the Community Hall for public viewing so from 4:30 to 6 anyone is welcome to come and check out the projects and the great work that their students are doing. LaBorde says they have a lot of the younger students participating this year. The Science Fair awards presentation will take place at six in the Community Hall. A Winter Drill Program is Getting Underway Near Snow Lake. Rockcliff Metals Corporation will be starting a 25 hundred meter 15 hole drill program this month on its Bur Zinc Property near Snow Lake. The objective of this program is expansion of the known high grade Volcanic Massive Sulphide Bur zinc deposit limits. Rockcliff President and CEO Ken Lapierre says the Bur zinc deposit is one of the highest grade undeveloped zinc copper rich VMS deposits within trucking distance to an operating metal mill facility. He adds the drilling program will test above and south of the known mineralization of the deposit. Rockcliff reports they are the largest junior land holder in the Flin Flon Snow Lake greenstone belt. Volunteers are Needed as a Winter Festival Approaches. The 40th annual Denare Beach Winter Festival is coming up February 22nd to 24th. Recreation Director Mel Durette says they have early events with a children’s coloring contest with pictures to be in at the school or Recreation Office by the 14th and an ice sculpturing contest with judging on the 20th. She says other activities get underway on the 22nd. She explains that Friday they have fireworks, Musher’s supper, penny parade, Kids Got Talent, turkey curling, pizza shoot and on Saturday the fishing derby, pancake breakfast, horse rides, bingo, boot hockey, kid’s curling and the Sunday will be King and Queen Trapper and the snow drags. 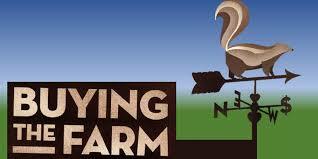 The festival wraps up on the 24th. You can volunteer to help out with festival events by calling the Recreation Office at 306-362-2050. 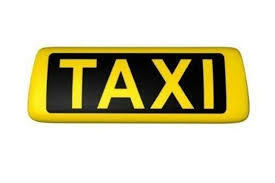 You Can be Sure Taxis are Licensed and Safe. At their meeting last night Flin Flon City Council passed on final reading the Local Vehicles For Hire Bylaw. Councilor Tim Babcock explained this bylaw was compiled with input from the local taxi operators. He says under this bylaw there must be a seal on a vehicle to show it’s licensed to operate in the city meeting the regulations spelled out in the bylaw, a mirror hanger that shows the driver is a licensed taxi driver and the vehicle must have a regular safety check in order to maintain its license. Council also passed on final reading the bylaw to prescribe fees, fines and charges for Municipal services and the bylaw to regulate the condition of owned vacant and derelict buildings and to set fines for non-compliance. The bylaw setting the Special Levy for Police and Fire Services for three years will go to a public meeting next Wednesday at 7 at City Hall and then to the Municipal Board for their review before returning to Council for final reading. The Deadline is Approaching to Nominate Deserving Volunteers. Nominations close next Friday for awards to be presented to volunteers across Manitoba. The Manager of Communications and Outreach for Volunteer Manitoba Dawn Bourbonnais says there are eleven awards to be presented. She says there’s the Premier’s Volunteer Service Award, the Lieutenant Governor’s Make a Difference Award, the Manitoba Liquor and Lotteries Family Award, the Royal Bank has the Bright Future Award which is for anybody who’s working with youth to prepare them for their future and then they also have two brand new awards the CTV Champion of Mental Health Award and the William Norrie Arts and Culture Award given to anyone in Manitoba volunteering their time for an arts and culture event. To nominate a volunteer or for more information on the eleven volunteer awards go to their website www.volunteermanitoba.ca/awards.